T'was a good year for shopping! 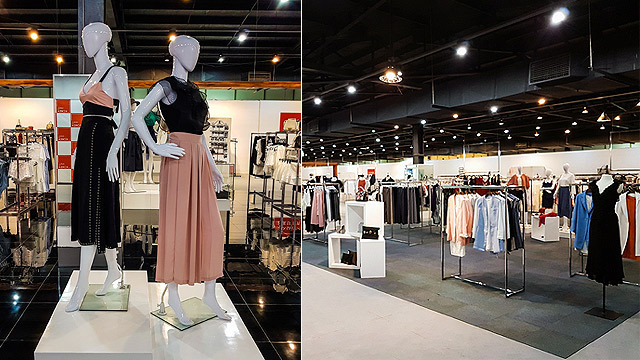 (SPOT.ph) The 2016 shopping scene was definitely a bustling one. Both international and local brands put up shop left and right! From crafting shops to lifestyle stores, we round up the most exciting store openings that took place this year. Finding the perfect pair to complete your geek-chic aesthetic is now a breeze. 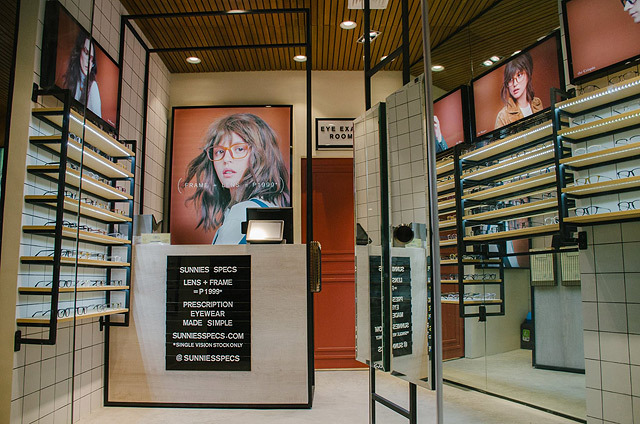 The folks behind Sunnies Studios finally launched a prescription eyewear line so four-eyed beauties can score fashionable specs at an affordable price! You can score a pair for as low as P1,999 which includes an eye check-up. The best part? You can bring home your pair in four hours! 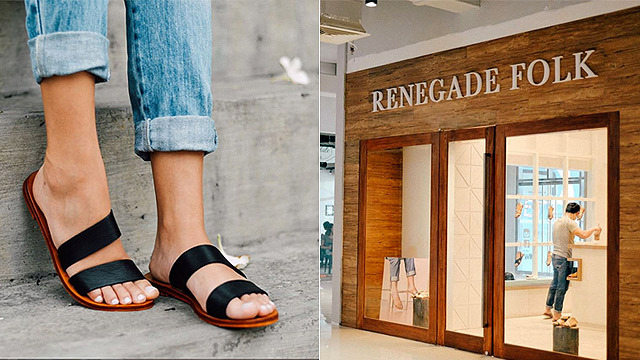 Local shoe brand Renegade Folk is known for their stylish yet comfortable leather sandals. The brand started out as an Instagram shop but this year, they decided it's time to put up their brick and mortar shop. 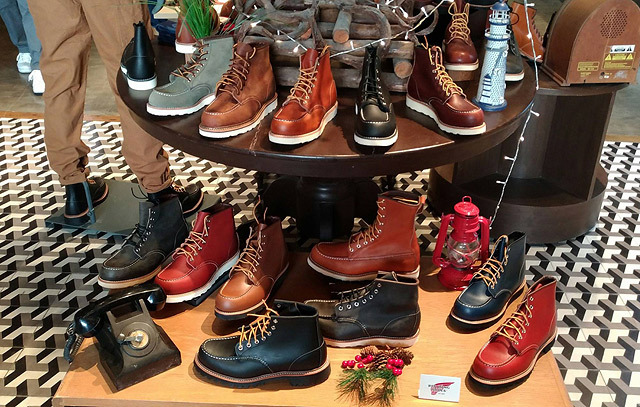 Located at UP Town Center's Urban Turf, the store is inspired by Renegade Folk's clean aesthetic and it's where shoppers can shop fashionable pairs. Renegade Folk is at Urban Turf, UP Town Center, Katipunan Avenue, Quezon City. 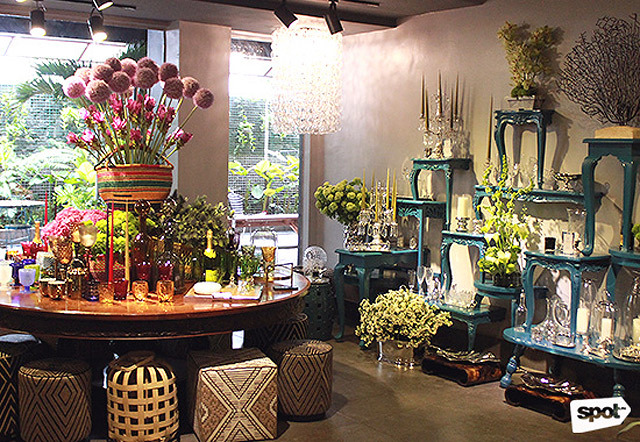 Tucked away along bustling Chino Roces is Lanai—a new lifestyle concept store that offers eclectic, unique, and Filipino finds perfect for people looking to spruce up their homes or add a few special touches to their wardrobe. Bianca Zobel-Warns, Maria Parsons, and Natalia Zobel are the women behind this beautiful secret sanctuary. The trio handpicks everything you find in the store! 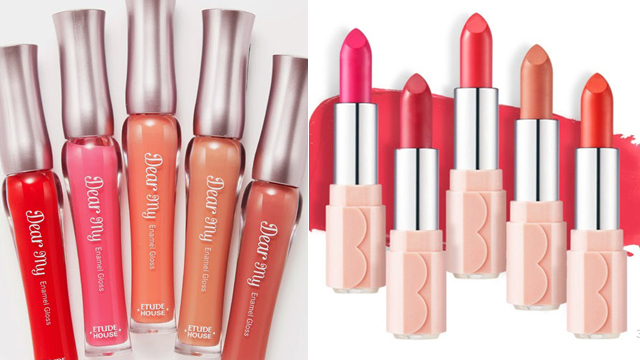 You can shop products from Filip + Inna, Amarie, Casa Chiqui, and the Capsule Collection of Ria Prieto x Gian Romano, as well as beauty items from Prim and Kala. Lanai is at The Alley, Karrivin Plaza, Chino Roces Avenue Extension, Makati City. 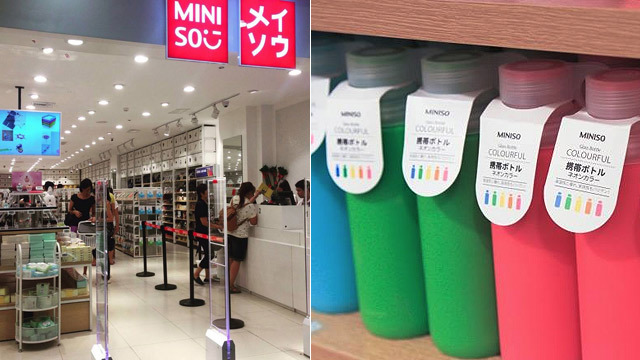 Japanese concept store Miniso opened shop at the second level of Robinsons Place Manila and it's poised to be a new shopping destination for all shopaholics, fashionistas, and beauty lovers. The store has a minimalist aesthetic (think MUJI) and carries a wide range of offerings like home accessories, beauty products, stationery and gift items, and more. They also take pride in providing quality products at low prices! Miniso is at 2/F Padre Faura Wing, Robinsons Place Manila, Padre Faura Street, Ermita, Manila. Another artsy haven opened in Manila this year! Since August, Hello MNL has been serving as a place where creative Filipino entrepreneurs can showcase their handcrafted products and demonstrate their skills in their craft. Currently, Hello MNL has over 60 partner brands and makers. Shoppers can discover local brands and artists, and purchase goodies made with love, as well as join art workshops! Now you can cop K-Pop fashion! Mall of Korea is a 2,400-square meter shopping destination located on the second level of Metrowalk, Pasig City which opened in July. It's now home to racks upon racks of stylish fashion pieces and accessories at budget-friendly price points. 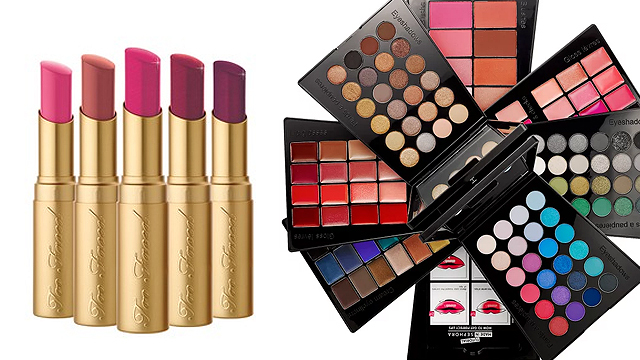 You can score pieces for as low as P100 (and up to P9,000!). Mall of Korea caters mostly to women, but they have a couple of areas for the men and the kids in your life, too. Mall of Korea is at 2/F Metrowalk Complex, Meralco Avenue, Ortigas Center, Pasig City. A new sneaker destination opened in Manila in September. 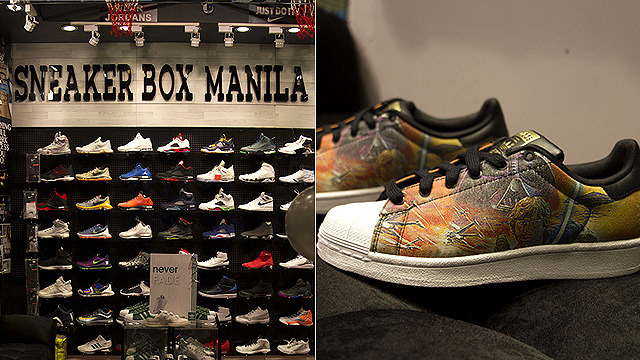 Located on the ground floor of Promenade Mall in Greenhills, Sneaker Box Manila is, well, kind of like a sneaker box. Approximately 20 square meters in size, the store may be small but it's packed with pairs every sneaker collector will drool over. From top to bottom, the walls are lined with limited-edition kicks and the newest releases from your favorite sneaker brands like Adidas, Nike, New Balance, Puma, Superga, among many others. Sneaker Box Manila is at G/F Promenade Mall, Greenhills, San Juan City. 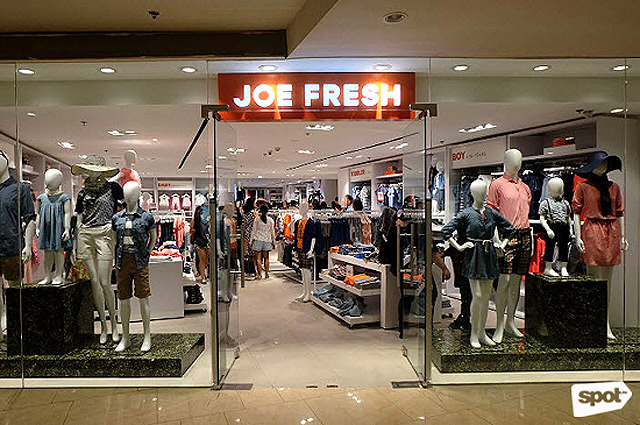 After a year of waiting, Canadian fashion brand Joe Fresh finally opened its doors in Manila in May. Located in Shangri-La Plaza Mall, the 674-square meter space (7,255 square feet) houses the complete Joe Fresh lifestyle range from women's, men's, and children's collections in two floors. The brand is known for their modern yet timeless styles and pieces which is also reflected in the store's design—bright and clean, giving every customer a comfortable shopping environment. Joe Fresh is at Level 1, Main Wing, Shangri-La Plaza Mall, Mandaluyong City. From a tiny little shop along Esteban Abada, Hey Kessy moved to a bigger and better home at UP Town Center. 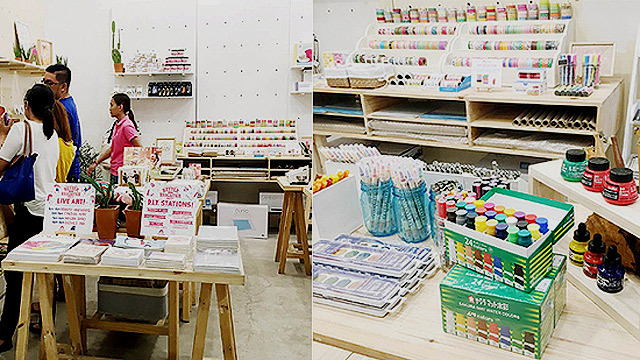 The store carries a wide range of art materials for different kinds of crafts like calligraphy, painting, papercutting, and more. There's also a special section where independent crafters can showcase their handmade products, as well as a place where people can join workshops! Hey Kessy is at 2/F Urban Turf, UP Town Center, Katipunan Avenue, Quezon City. Cool Japan Shop opened at SM Light Mall in early June. Let's just say that this treasure trove is accurately named—they carry some pretty cool stuff (they have a cute little shaved ice machine!). Beauty junkies will love the selection of Japanese beauty products, from skincare goodies to cosmetic finds. Anime fans can get their fill of toys, accessories, figures, posters, and even pillows! Titas, on the other hand, will be pleased to know that they can score chairs, trash cans, bathroom accessories, kitchen essentials, and more. 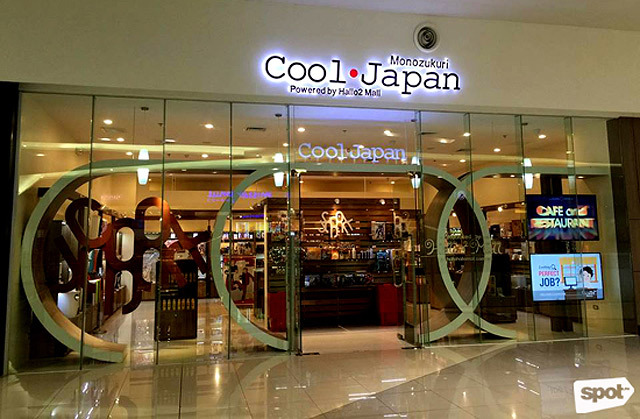 Cool Japan Shop is at 2/F SM Light Mall, Madison Street, Mandaluyong City. 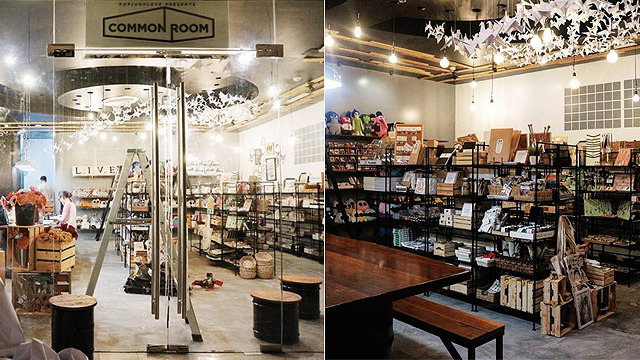 Because people couldn't get enough of Common Room in Katipunan, they decided to open a pop-up shop in Power Plant Mall. It's a lot bigger compared to the first branch, but the vibe is still the same—you get the same paper cranes watching over shoppers who peruse the goods, as well the same cozy ambience that makes it feel like home. Common Room is at Archaeology Wing, R2 Level, Power Plant Mall, Makati City. Posh Pocket Shoes is a homegrown brand that started out in 2009 known for their chic pocketable flats. The brand has since expanded to creating fashionable bags to go with their shoe line. This year is a milestone for the brand as they opened their very first shop in August at Salcedo Village—and it's as posh as it can get, thanks to its chic interiors. 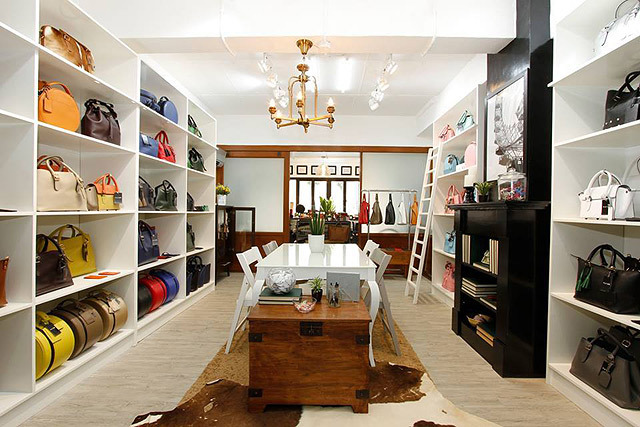 Posh Pocket Shoes is at LG9 Alfaro Place, San Agustin Street, Salcedo Village, Makati City. 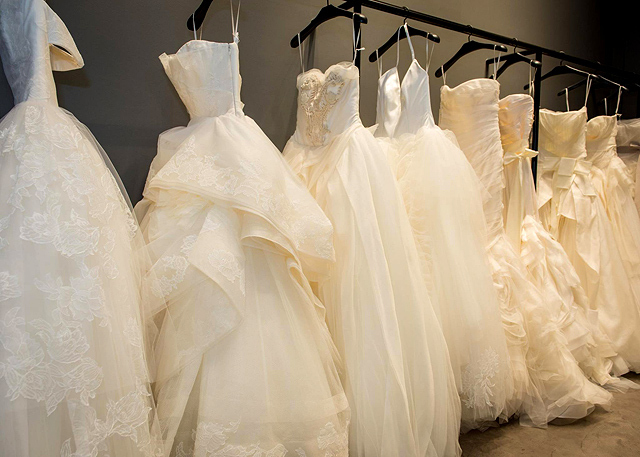 With all of the wedding proposals and engagements happening left and right, future brides are probably ecstatic to find that Vera Wang's bridal collection is finally in the Philippines. You can find the very first store at 8 Rockwell. Vera Wang is at 8 Rockwell, Plaza Drive, Makati City. 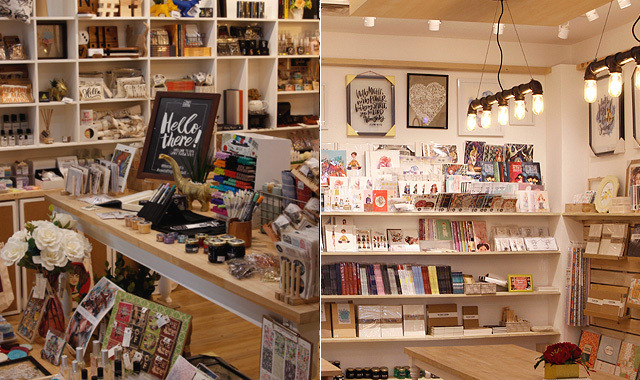 The Craft Central is at 3/F Greenbelt 5, Makati City. Global brand Bata is finally in the Philippines! 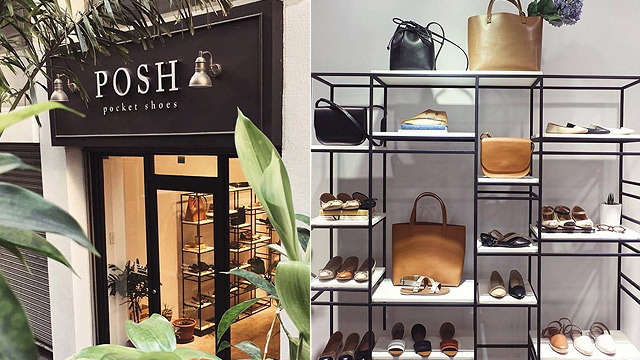 The European footwear brand found a home in SM Megamall where they opened their first and flagship store in December. Bata has been around for almost 120 years and they're known for their contemporary styles and quality products—which you can find in their first outlet store. From classic and versatile pairs to trendy kicks, there's really something for almost any occasion! Bata is at 3/F SM Megamall Building B, Mandaluyong City. General is a quintessential man's shopping destination. The concept lifestyle store carries a wide array of brands that cater to every modern gentleman's needs! Shop fashion pieces from Lyle & Scott, Boxfresh, Brixton, Herschel, Clae, Hex, Olukai, among many, many others. General is at U/G C1, Bonifacio High Street Central, Bonifacio Global City. 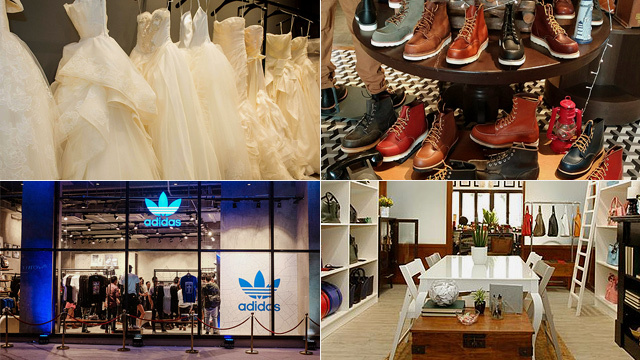 Adidas launched their retail concept Neighborhood in Manila in August. 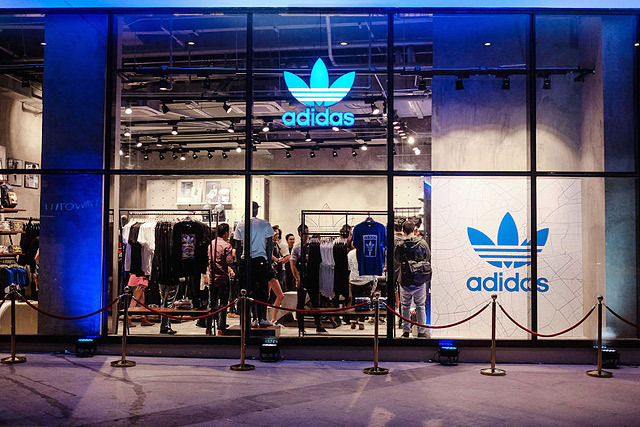 The flagship stores are located at Uptown Mall and Glorietta, and it's where sneakerheads can score Adidas' sneaker highlights, limited releases, and cool collaborations. Adidas Neighborhood is at G/F Uptown Mall, 9th Avenue corner 36th Street, Uptown Bonifacio and Glorietta 2, Makati City. Craft Carrot was a one-stop online shop the specialized in all things arts and crafts. 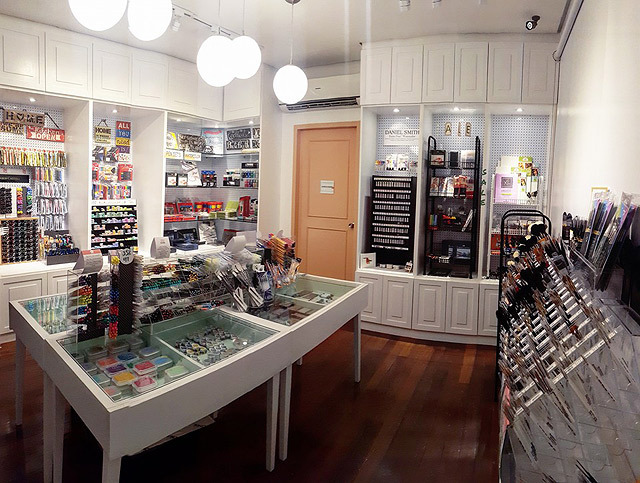 This year, they opened their very first flagship store in Kapitolyo where they carry over 1,000 hard-to-find art tools and materials from brands like Kuretake, Sakura, Daniel Smith, Tsukineko, and more. It's where professional artists, hobbyists, and DIY enthusiasts can find quality art materials all under one roof! Craft Carrot is at 19 East Capitol Drive corner San Rafael Street, Barangay Kapitolyo, Pasig City. The brand known for their anti-theft travel bags now have their very own store! Pacsafe opened their very first flagship store (yup, first in the world!) in Glorietta 5 in July. It's where you can score travel essentials such as backpacks, women’s bags, urban and leisure bags, camera bags, and luggage and useful travel accessories like locks, cables, and straps. 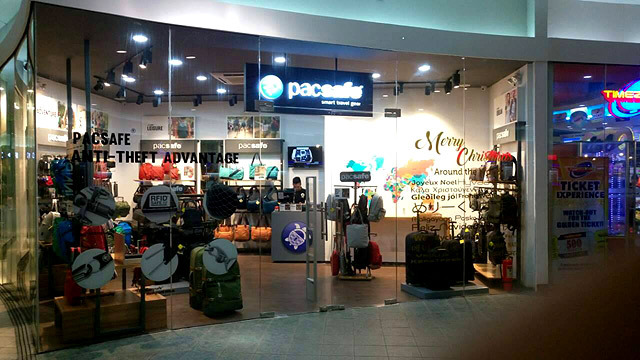 The Pacsafe flagship store is at G/F Glorietta 5, Makati City. The brainchild of fashion stylist Kat Manalo Erro has found a home at the ATC Building in St. Ignatius Quezon City. Katre is a lifestyle brand known for its chic leather goods. From stylish handbags to fashionable accessories, Katre puts the spotlight on quality materials in all their products. Katre is at ATC Building, 148 Katipunan Extension, St. Ignatius, Quezon City.